Jacqueline Kennedy host a reception. 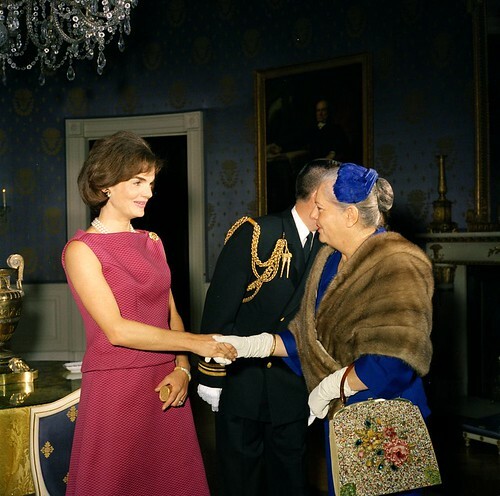 First Lady Jacqueline Kennedy greets guests at a reception for the wives of American Society of Newspaper Editors members in the State Dining Room, White House, Washington, D.C.19 April 1961. 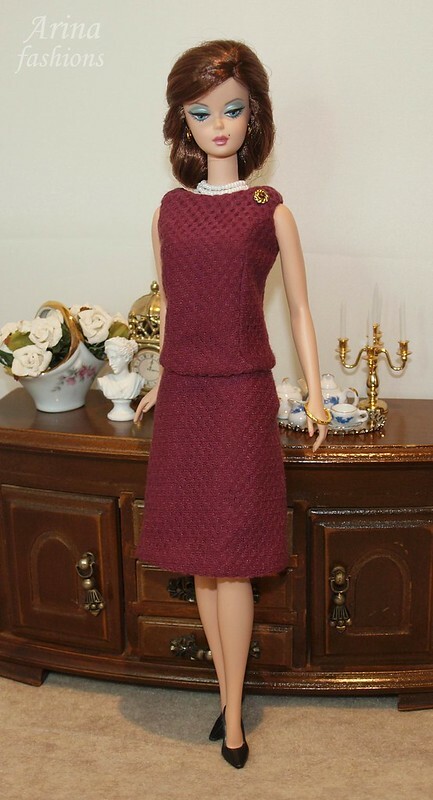 Outfit for Silkstone Barbie, Vintage Barbie, Poppy Parker, FR2 and Monogram dolls. This fashion includes the top with pin, skirt, bracelet, earrings, 3 strand white bead necklace and shoes. 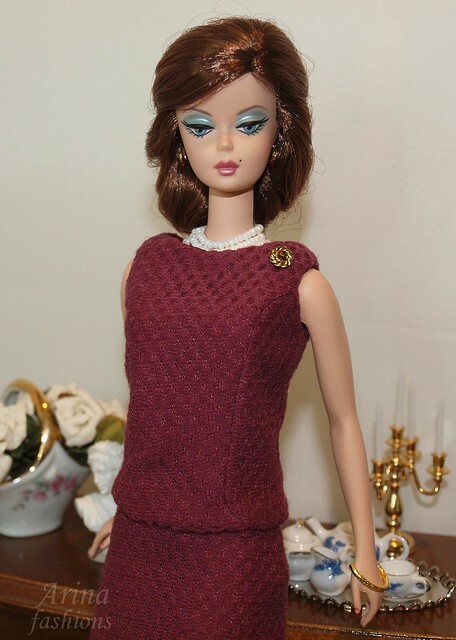 Outfit for Silkstone Barbie and Vintage Barbie dolls. This fashion includes the dress with mink fur and flower pin with crystals, the belt with golden buckle, the golden net gloves and the functional purse. OOAK Outfit for FR2 doll. The tailored grey wool coat is fully lined in a grey lining and closes with a hooks. The black dupioni silk pants is fully lined and closes at the back with a snap and hook. The ivory crochet top is cut from a wool lace. The top closes at the back with snaps. The Louis Vuitton logo scarf. It does not include the doll or shoes.